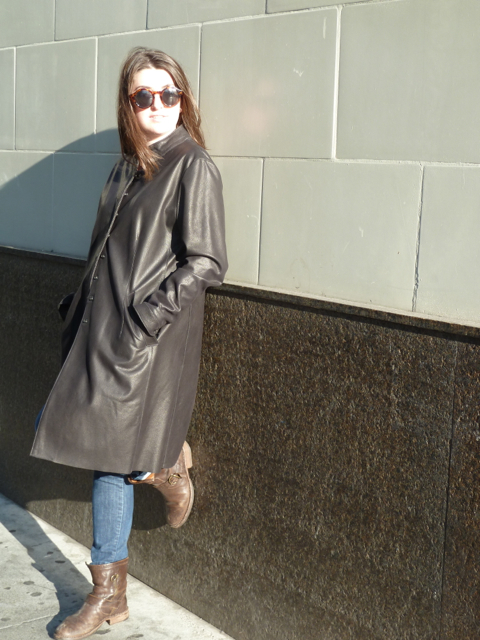 Street wise and leather savvy, the leather long coat is always seen in the city. 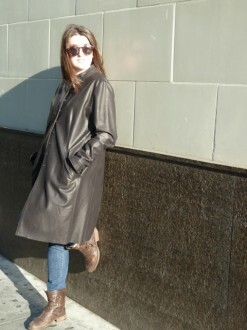 I love the leather long coat because no matter what you are wearing underneath it looks great. 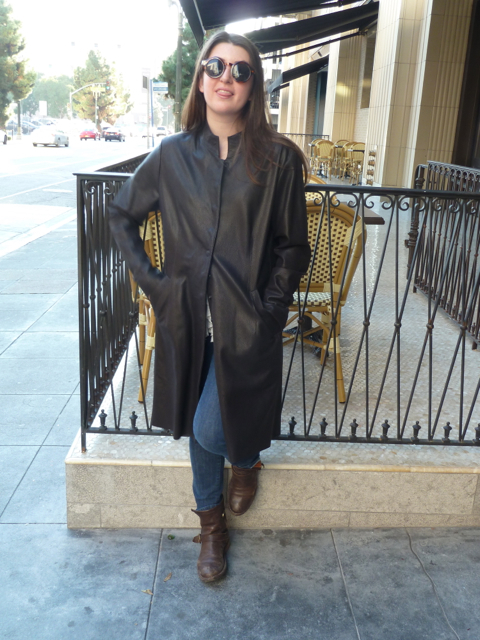 I’ve made numerous leather long coats in a great variety of styles, for men and women. In cold weather the leather long coat is like a staple, because it’s wind resistant and with a sweater or sweatshirt under one can stay quite warm. 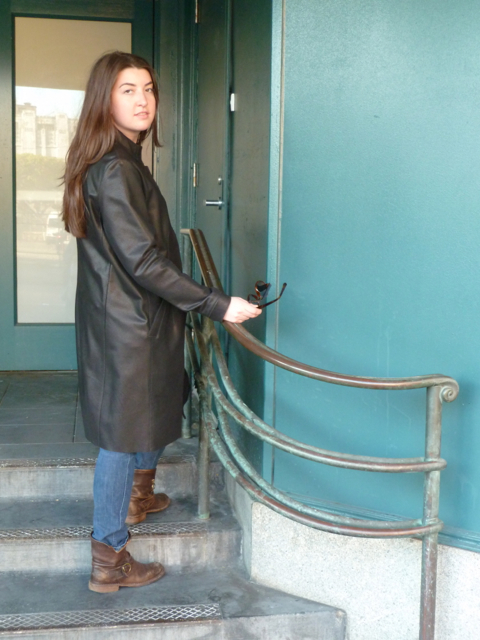 The leather long coat that I’m showing here is knee length and somewhat slim in cut. 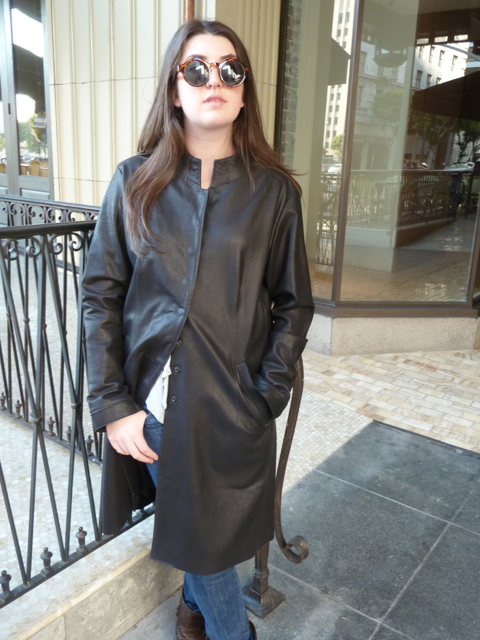 This leather long coat is elegant in it’s simplicity with clean stitching and hidden multiple snaps that close it. A leather long coat needs deep pockets for carrying gloves and to also sink your hands deep into. The leather long coat in this dark espresso brown lambskin with a slight imprint gives the skin texture and is a great looking piece for a city wardrobe. 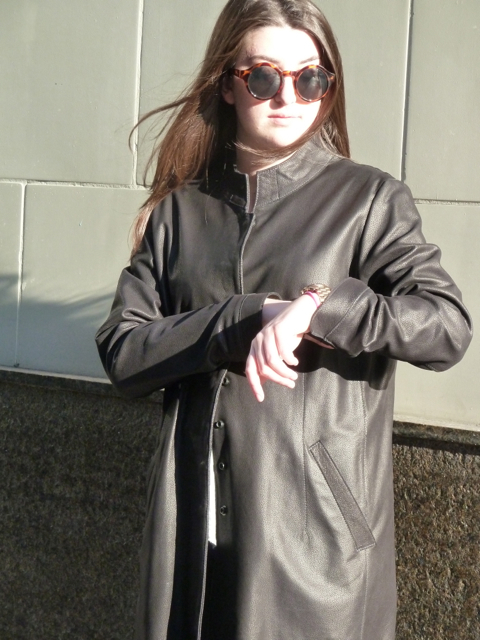 I make leather long coats for men and women by custom order.